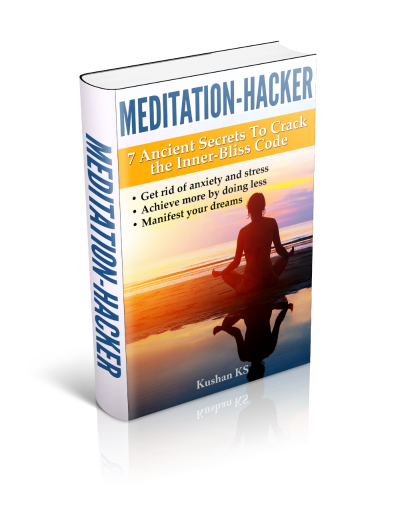 Gayatri meditation is based upon the Gayatri mantra - an ancient Vedic mantra mentioned in the Rig Veda. Of all the mantras revered by Hindus, the Gayatri mantra is considered to be the most powerful. Rishi Vishwaamitra: No other mantra of the Vedas is as glorious as Gayatri mantra. All the Vedas, yajnas, charities, austerities etc put together are a mere shadow of the all powerful Gayatri. Maharshi Yaajnavalkya: Place all the Vedas in one pan of a weighing scale and the Gayatri mantra in the other pan. Know for sure that the Gayatri pan will be much heavier. Rishi Bhaaradwaaj: Gayatri meditation helps us realize God/Self and man attains heaven and salvation (Moksha). Mahatma Gandhi: Gayatri mantra chanted with a calm and steadfast mind helps one overcome even those obstacles which otherwise appear insurmountable. Raindranath Tagore (Indian poet and Nobel Laureate): Without any room for doubt Gayatri mantra can awaken the soul of the entire nation. Shri Aurobindo: Infinite energy rests in the Gayatri mantra. Swami Vivekanand: Gayatri is the crest jewel amongst all other great mantras. The chanting of the 24 letters of the Gayatri mantra activates energies in the subtle nerves of the tongue, throat, palate and the brain centre. Latent energies of the Chakras also get activated, which benefit the devotee both materially and spiritually. "O Supreme Creator, Thou art the giver of life, the remover of pain and sorrow and the bestower of happiness; O Creator of the Universe, may we receive Thy supreme sin-destroying light; may Thou guide our intellect in the right direction"
"We meditate upon the spiritual effulgence of that adorable supreme divine reality Who is the source of the physical, the astral and the heavenly spheres of existence. May that supreme divine being enlighten our intellect, so that we may realise the supreme truth"
How to do Gayatri meditation? 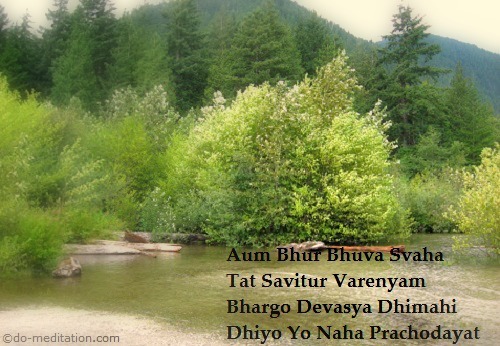 Listen to the correct pronunciation of the Gayatri mantra. The mantra jaap (chanting) in the audio file has Om (Aum) before the second line of the mantra also, but it is not essential and can be skipped. In addition to Gayatri meditation, one can also practice primordial sound meditation based on the chanting of Om. 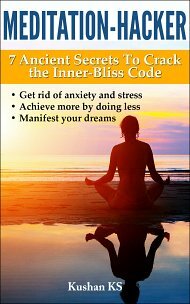 This page tells you how to find your own unique beej (seed) mantra to do personalized mantra meditation.